I taught young children for forty plus years. Early on, I was influenced by Jean Piaget and came to believe that children learn best when all senses are involved in the process. Therefore, writing and reading instruction went hand in hand in my classes. 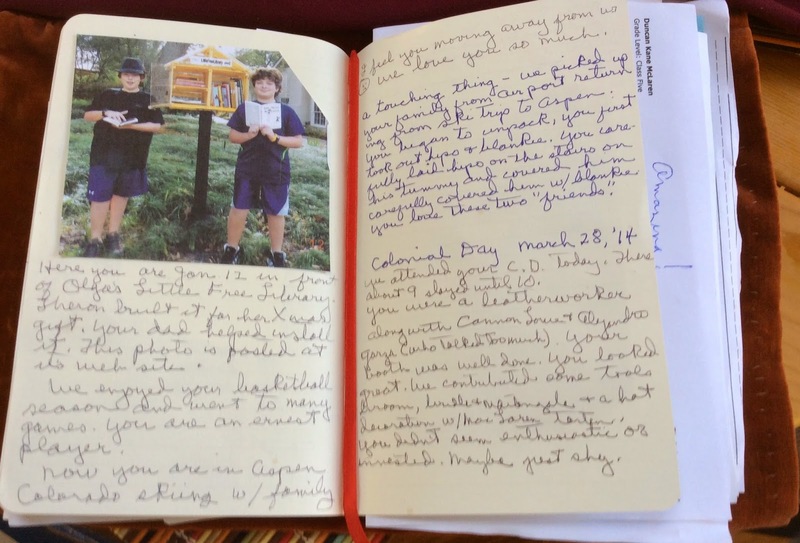 I journaled, and my students kept journals. I never used lined paper, and I encouraged invented spelling to develop fluency. 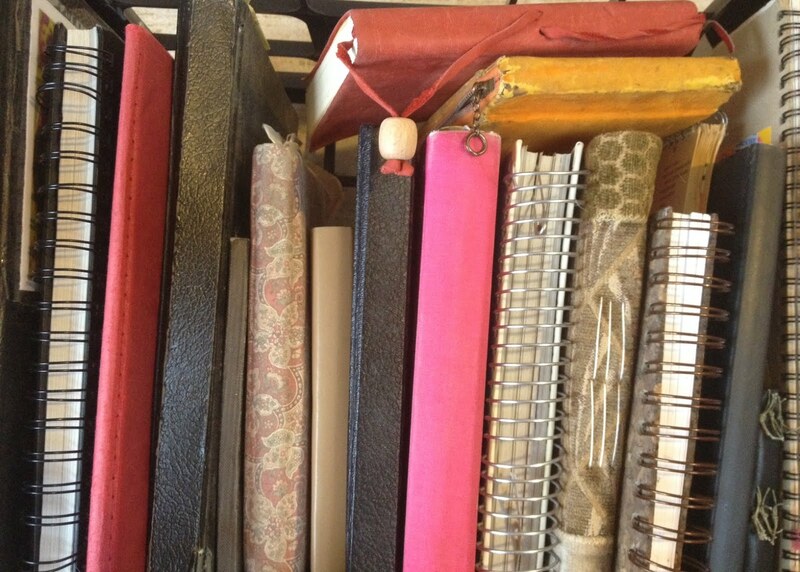 Personally, I keep many kinds of journals: personal journals, travel journals, garden journals, journals of gardens we visit, and journals of books I have read. Before I retired, I kept professional journals. 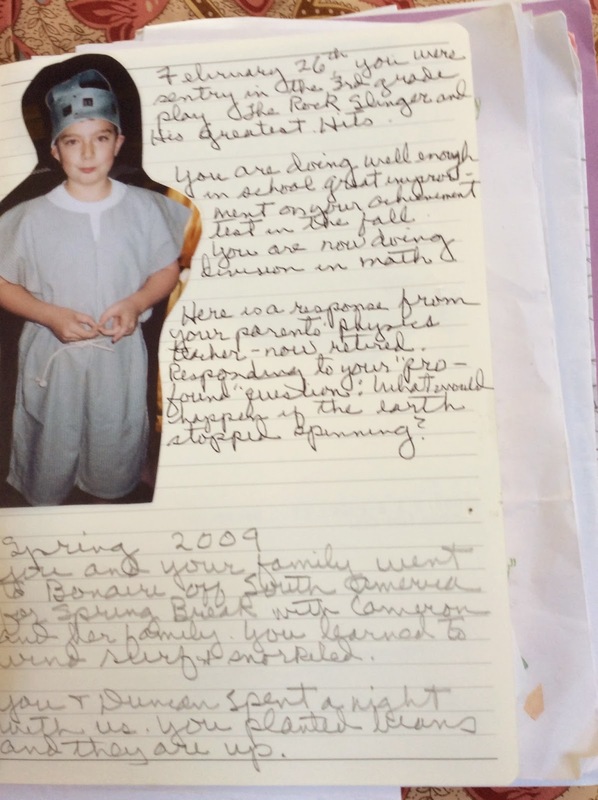 In 2000, when our first grandchild was born I began a journal for him, and in 2003, one for his new brother. My goal was to bring us closer together by my observation of their lives, and to hope that in the future they would have a perspective of their lives before their memories began. I determined early to be honest. The books are a narrative, embellished with photos and other materials related to events in their lives. I write when the mood strikes me. The kind of book you use matters little. I started with one 6” X 8” hard coverbook for stability. I use rubber cement to glue in the pictures and materials, and I’m now on a second volume for each. I plan for Lorn and Duncan to have these journals when I die. I do show them the journals occasionally, but they show little interest. The journals are a chronicle of their lives from the viewpoint of a loving grandmother and very different from what their parents would make. Olga Christopher McLaren, 77, taught in both public and private schools for 42 years. Some of her students are professional writers on the East and West Coast. She stays in touch with many of them. She’s been married to Theron for 57 years. She is the proud mother of Christopher and grandmother of his two sons. The Olga C. McLaren Poetry Endowment was established when she retired in 2002. 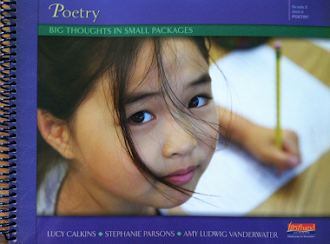 So far 12 poets, including Amy Ludwig VanDerwater, have visited St. John’s School in Houston Texas as a result of this program. Wow, I'd never heard of grandmother journals before, but what a wonderful idea! Such a loving gift. They will revisit things moments they had forgotten and get to see them from your eyes. Having them in your handwriting will make them all the more precious. What a gift! Perhaps they show little interest now, but these will be treasured later! I have known Olga for years and have always been in awe of her dedication to record experiences and reflections in her many journals. She inspired me as a young educator - and still does. Her friendship is a gift. Olga and I met as professionals and our friendship developed from there. Olga writes about everything in her little journals as she said. It is such fun to see all of the various types she writes in. She also writes "real" letters! Her inspiration many years ago led me to make "journaling" in my classroom one of the most important 15 minutes of the day! I love these grandmother journals. What a gift to leave to the two grandsons! Journaling is a gift of the heart and for the heart. Writing is like breathing, it is something that comes naturally to me. But instilling in my young students the confidence to write has always been a challenge until Olga came into my classroom and worked her magic! Whether it was having the children tear out favorite magazine pictures to generate writing or chose a button to glue in their journal and spin a story about its journey on the wearer, it freed the children to write and keep on writing. 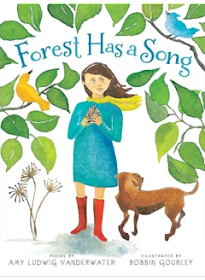 Once she had them write about their muse, yes eight year olds have a muse, a cosy spot, a favorite hideout, a hammock or beanbag chair, a beloved pet. Olga was fond of taping poetry in child friendly places like underneath tables where her students crawled under to read them. Olga became my mentor and dear friend. I joined her Educators Forum which met in her eclectic home looking out over her lush garden of vegetables and flowers, feeders and winding paths. These evenings gathered with other educators and authors became an oasis for me where I could reflect and glean the wisdom of others. As a mother and grandmother myself I enjoy journaling about my own children, always striving to write with honesty and heart like Olga. 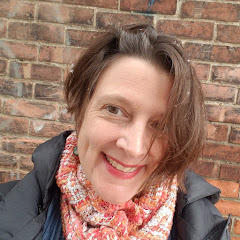 I am thrilled that this talented writer, lover of poetry and extraordinary educator has been discovered by you. Just beautiful! Those children will treasure the journals when they are older. 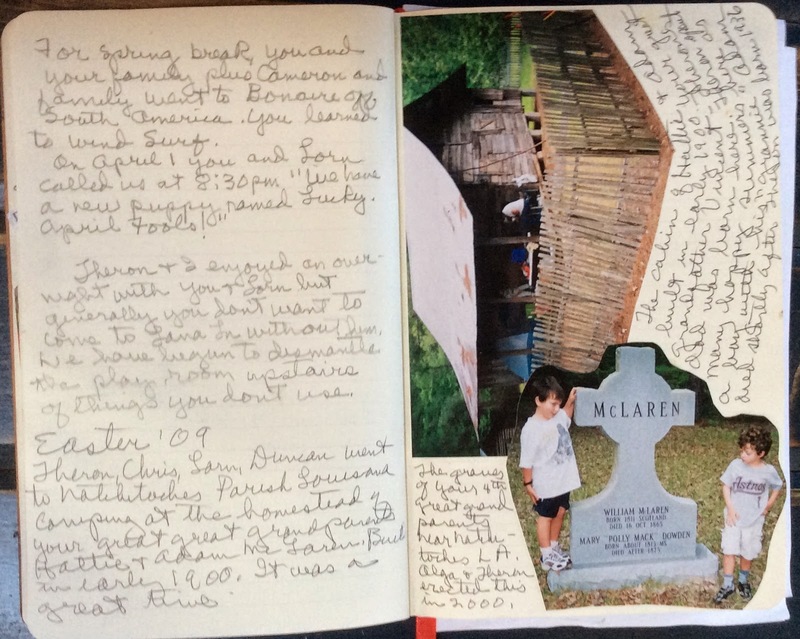 Grandmother journals - such a novel and endearing gift of the heart to be passed on. Olga's are carefully rendered and will be treasured by her family for years. My writing is often on scraps of paper and lay all over my desk until I find the just right time to make them into their own entity. This is quite possibly one of the best ways to share who we are I have ever learned about. I cherish letters I have where people have observed who I was when I was younger. I can only imagine the inner peace and joy of owning a journal someone created just for me and about me as seen through the eyes of someone who loved me. I plan to share this with everyone I know. Thank you. I started journals for my children but gave them up after a few years. I must try again when I have grandchildren. There are so many demands of parents, but grandparents have wisdom and more free time. I'm tucking the idea away. I am familiar with The Important Book. A colleague used it as a writing prompt. I'd love to have my own copy. 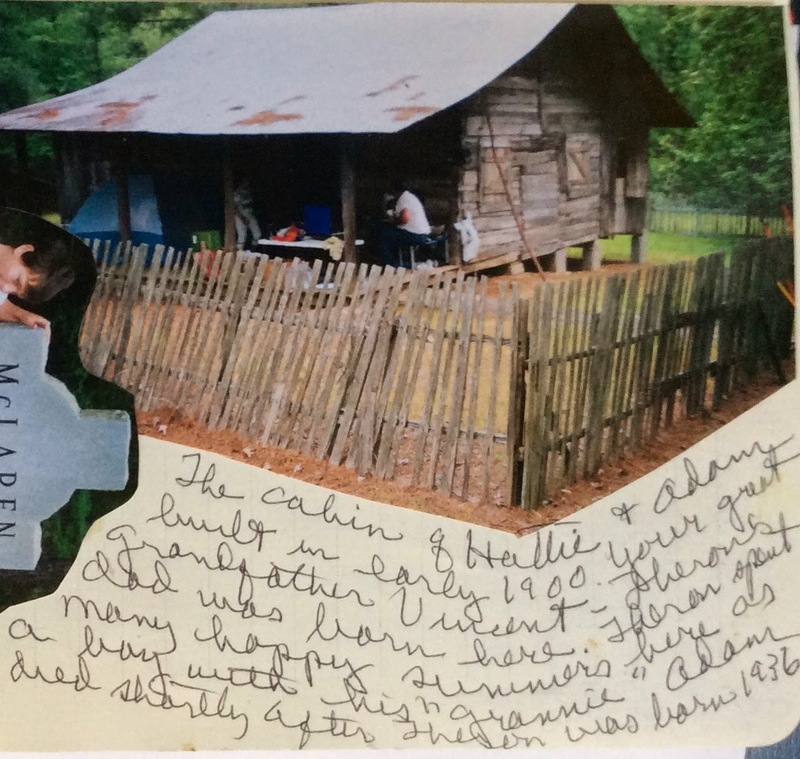 Since I live in Louisiana, I am curious about the Great Great Grandparents' cabin. This is beautiful. I created a scrapbook for each of my grandchildren for their first year and have written poems of "goodbye' at some of the stages they've said goodbye to. Love that you have this record of their lives, Olga, and Amy, thank you for sharing. Please don't put me in the drawing, I have both books-treasures! I started a "Grandmother Blog" for my granddaughter when I first learned she was conceived and like Olga, know she won't take a big interest in it until she's much older. 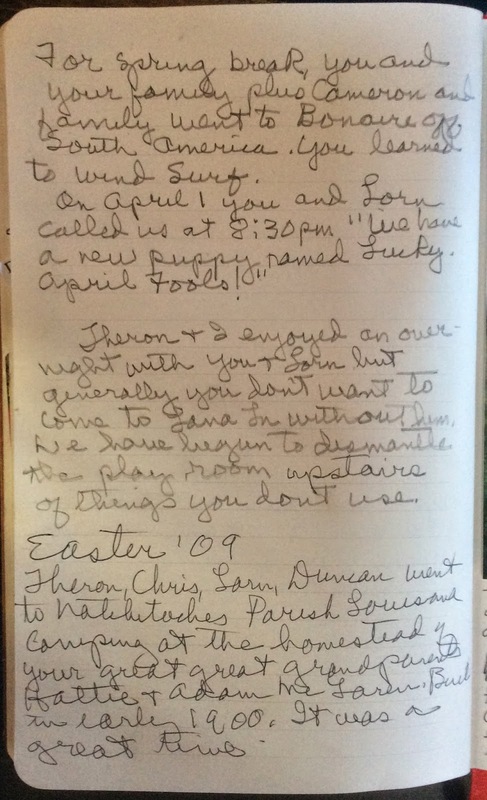 Several years ago, I was able to acquire a journal kept by my spouse's grandmother, as her own sons didn't want it. We didn't want anything else after she passed-just the journals and they are a treasure. I have scrapped some of her writing using old photos she had taken. 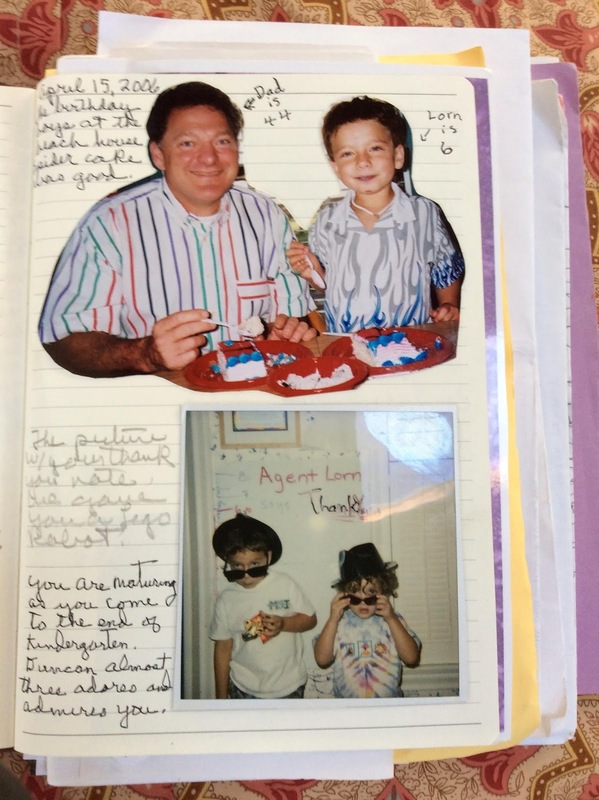 I really like the idea of writing in a notebook for my granddaughter, but ended up doing a blog as I have family that doesn't get to see her often and this is a good way to share with them now. We just lost mom last week and one thing my daughters (31 and 29) and I are treasuring is a Grandmother Remembers book that mom got about 50% filled in. So wonderful to read her words and see her handwriting. The boys may not be interested now but one day, they will be thankful that you took the time to do this. This visit about Olga Christopher McClaren feels like a gift. Appreciations! PS to Amy - Just saw that Mrs. McClaren is from a Houston, TX school. Hope they have fared well in this week's flooding? Best to you Amy.